Preventive dentistry is a conservative approach to dental care focused on continued dental hygiene procedures and at-home routines to help patients maintain their natural teeth for a lifetime. 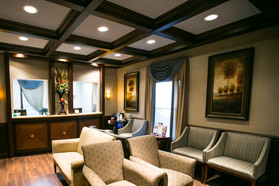 At Forsyth Dental Partners, the goal is to maintain the integrity of your natural teeth by diagnosing problems before the need to drill, cap or remove them arises. In addition to a healthy at-home oral care routine, an effective preventive oral care strategy includes the following practices and procedures. Routine cleanings are conducted prior to your checkup, and allow our hygienist to remove decay-causing plaque and polish your teeth prior to your exam with Dr. Brian Carpenter. During your checkup, Dr. Carpenter will check your mouth for signs of decay and inflammation – a sign of a developing condition. He also will perform a routine check of your mouth and throat for oral cancer. 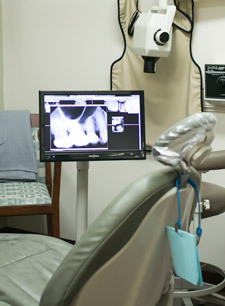 The American Dental Association suggests that patients have two routine cleanings and professional checkups per year. Most insurance covers the cost of these preventive appointments. 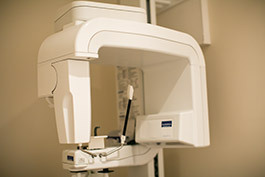 X-rays are conducted in conjunction with routine exams and cleanings and allow Dr. Carpenter to diagnose and monitor conditions that may not have manifested in noticeable symptoms such as decay, tumors or interosseous cysts. The key to minimizing damage from caries is early detection. Dr. Carpenter uses a Spectra caries detection device, which projects a green light on teeth that causes decay to fluoresce orange. Fluoride is a mineral applied topically to teeth to prevent caries and repair teeth in early stages of decay. Bruxism – or teeth grinding – causes irreversible loss of tooth structure. We provide custom night guards that help protect teeth from the detrimental clenching and grinding of this condition. Sleep apnea sufferers may also find relief from wearing specialized night guards that help keep their airways open while they sleep. Custom sports guards protect teeth from accidental damage during physical sports such as baseball, basketball, volleyball and football. Giving your child the gift of lifetime oral health means starting them off with preventive care at an early age. We recommend children have their first checkup by age 3, so we can begin preventive treatments that protect developing teeth, which are especially prone to decay. Topical fluoride treatments strengthen teeth, making them less prone to decay. Erupting molars are susceptible to decay because their deep pits and fissures are difficult to clean with a toothbrush. Dental sealants are plastic coatings applied to the deep grooves of molars to seal out decay before it starts.